It’s pretty obvious what a site with a name like Best Nootropics Now is all about. Nootropics can help with any number of cognitive functions from memory to alertness and everything in between. They have been a big part of my life for many years, and I know I’m not alone. Just search for the term “nootropics” in Google, and you’ll see what I mean. As I write this, there are well over two and a half million search results. Brain supplements have become increasingly popular over the last decade, and there is a good reason why. 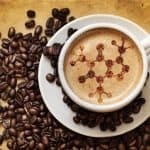 Why Are Nootropics So Popular? The popularity of nootropics has been on a steady rise. An excellent way to visualize this is to look at Google Trends. It’s hard to argue with the results, shown below. The reason why nootropics are becoming more mainstream is two-fold. 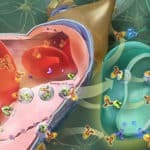 First, it’s hard to deny the many benefits these types of smart drugs can provide, and people are taking notice. In fact, there are very few individuals who would not be able to benefit. And as more and more people show interest in them, there is a growing number of options. Nootropics are becoming much easier and more affordable to buy too. With increased awareness and amount of information available, I would argue that they’re also becoming even safer. Students are an almost too perfect market for nootropics. Is there a better tool to use when it comes time to put the final touches on that semester-long project or cram for an exam? The ability of the supplements to improve focus, learning ability, and mental stamina makes nootropics an obvious choice. I talk about in greater detail how they can help students in an earlier post. What about those who are done with their studies and have moved on into the workforce? Nootropics are just as popular with professionals and using them can also have significant advantages. Let’s say a big deadline is looming (and really, when isn’t this the case). You need to put in extra hours to get things done. Not only do you want to be more awake and alert, but how much easier would things be if you could maintain proper focus. A substance like adrafinil would be a perfect fit. One more reason why nootropics are popular is the sheer number of options. There is a right supplement for any need and situation. For example, let’s say you need the effects to kick in as soon as possible. 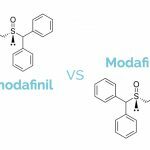 Compared to adrafinil, you can feel the full benefits of modafinil in less than 60 minutes. It takes no time at all for it to be processed by your body and start affecting your brain and nervous system. But, modafinil lasts for about 14 hours. If you need something for a much shorter period, adrafinil may be the better choice there, with a half-life of only about 5 hours. And there are hundreds of other similar examples. It’s pretty simple why interest in nootropics has risen over the last little while. They can improve the lives of just about anyone. 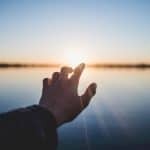 Nootropics are easy to use, readily available and most importantly, can provide many excellent benefits for your brain.